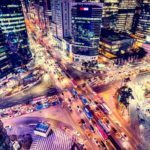 Decentralizing the financial sector is taking place on multiple levels. One of the more innovative ways of doing this is by turning the traditional exchange platform model on its head. OpenLedger is dubbing this as “the world’s most powerful decentralized financial platform for cryptocurrencies”. Quite a bold statement, but there seems to be a lot of merit to it. Initially announced in September 2015 during the Global Money Transfer Summit, which took place in London, England, OpenLedger has been getting a lot of attention. Not just from people active in the financial world, but also from digital currency enthusiasts, Fintech entrepreneurs and journalists and writers from all over the world. Building a platform to disrupt finance, Fintech and digital currency at the same time is not an easy task. OpenLedger is a project created by independent blockchain development company Cryptonomex. 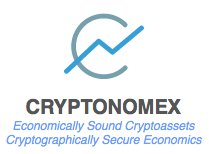 Some of our readers may have heard the name Cryptonomex before, as this US-based company was founded by the developers of the BitShares initiative. As a result of the OpenLedger announcement, the BitShares market price saw a massive increase, as anticipation for this new platform is building. While Bitcoin’s blockchain is a revolutionary concept in its own right, BitShares seeks to improve upon this protocol by adding various new features. For the latest updates regarding the BitShares protocol, make sure to check out their dedicated forum. One of the main sponsors of OpenLedger is Crypto Coins Exchange Denmark ApS (CCEDK), founded by CEO Ronny Boesing. Being an entrepreneur for many years himself, Ronny Boesing feels that cryptocurrency is still hampered by problems, ranging from security and speed to transparency and stability. OpenLedger is designed to take care of all these problems. Under the hood, OpenLedger promises high-volume and low latency trading, so much so that even the entire volume needed for the whole cryptocurrency industry will be nothing more than a grain of sand in the desert. Rather than operating as a singular platform, OpenLedger is an inter-connected exchange network, while the end user still remains in full control of their funds at all times. Traditional cryptocurrency exchanges act as intermediaries when it comes to user funds. OpenLedger takes an entirely different approach, however, as there is no freezing of accounts or reversal of transaction possible. Furthermore, transparency is one of the major selling points for OpenLedger, as anyone in the world can conduct a real-time audit of the platform’s assets, including pegged digital assets such as USD, CNY, and gold. 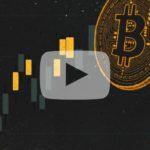 A critical flaw – in some people’s opinion – of cryptocurrencies is the price volatility. BitShares offers a pegged USD currency to protect users from these potential price swings, which can then be withdrawn as fiat currency. This process can be done through either money transfers, PayPal, the NanoCard, or even a Ripple gateway. At the time of publication, three major players are involved. CCEDK, Bitshares Community and Cryptonomex. Bitshares will be the first blockchain to be present on OpenLedger. Coming up next are is Identabit and Muse. 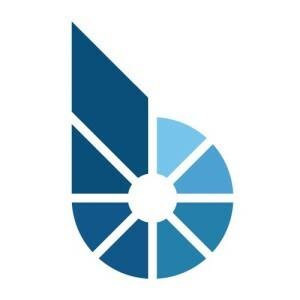 Although other players like Banx Capital and BunkerShares are planning to come out with their own wallets based on BitShares 2.0, OpenLedger is the de facto Bitshares web based browser wallet. The official owner of this domain and platform is CCEDK ApS. As an added bonus, OpenLedger will be able to offer smart contracts to its users. Developing system contract applications is a simple process, which is based on blockchain-verified negotiations. Doing this will remove complications during the execution of trades, as there will be no human element involved in the decision-making process. “We’ll start logging transactions every 3 seconds and then gradually throttle up till we see what rate people on the other side of the planet can handle,” says Dan Larimer. 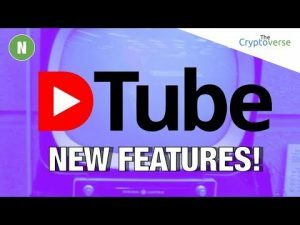 While real time is about 1 second, which limited by the speed of light circling the globe through all the Internet connections, 3 seconds is a great improvement over traders waiting an hour between the steps in a chain of trades.” – Cryptonomex CEO Dan Larimer told Forbes in an interview.